This statistic presents the most common types of online abuse or harassment experienced by women worldwide. 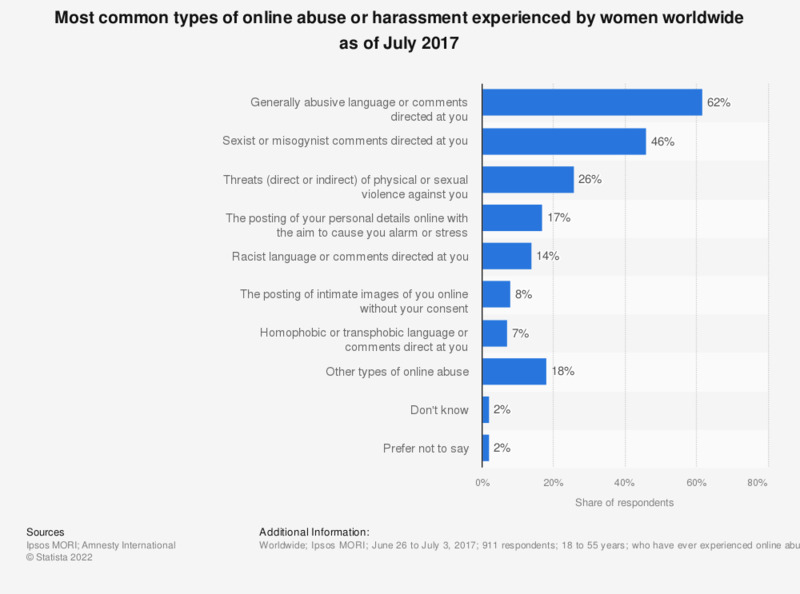 During the July 2017 survey period, 46 percent of survey respondents who have experienced online abuse stated that they had experienced sexist or misogynist comments directed towards them. *Less than 1 percent of respondents.